← Clearing out my chemical closet – Why I am going ORGANIC! Happy Spring Day darling veggies! The gloomy days have past, and what better way to celebrate the sunnier season than to spring clean your skin routine? This past weekend I discussed why I am cleaning out my chemical closet, and today I am taking the first step to how. The big search in finding organic, harmless products that are both vegan and cruelty free deemed to be not as difficult as I anticipated. 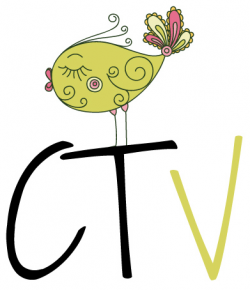 This is because two lovely ladies came across CTVeganista and blessed me with a lavish batch of their brand new product range to review. Ecologic is the brainchild of homeopathic guru, Annette Du Toit, and daughter Mika – whom I coincidently met years and years ago in the promotion world. After years of research and experiments, they finally launched a full range of fresh, hand-crafted vegan cosmetics for your body, skin and mind! Every product in the range promise to be 100% free of harmful chemicals & preservatives, synthetic fragrances & artificial colourants and no ingredient or product is tested on animals. 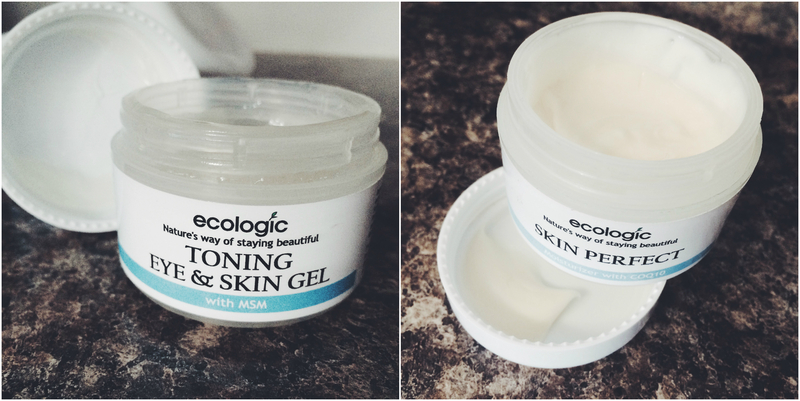 Ecologic have honoured me with the exclusive privilege of being the very first blogger to try out their goods. It is going to take some time to work through all the products they so generously gifted me with in order to bring you tried and tested feedback – not that I am complaining, since I don’t believe in animal testing I am more than happy to play guinea pig. 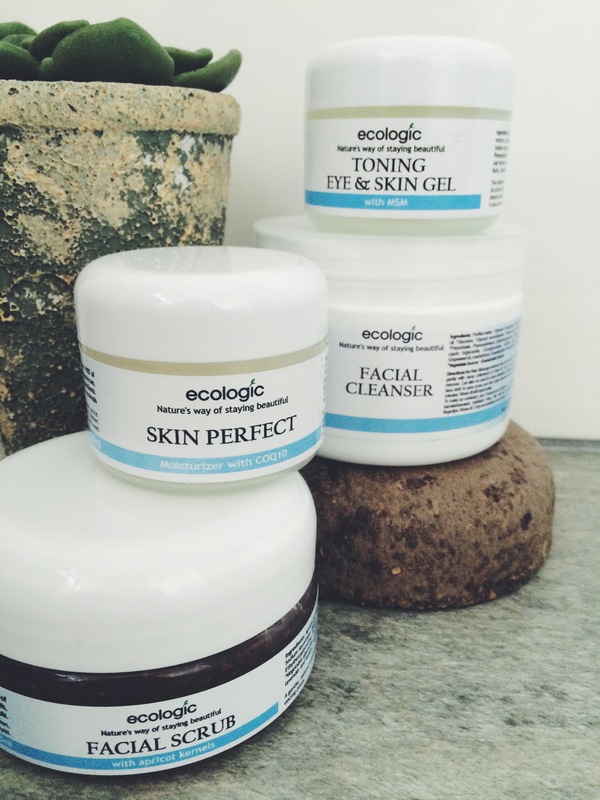 Today I am reflecting on the four Ecologic skincare products that I have been experiencing with these past four weeks. Ecologic facial scrub with apricot kernels: It’s important to note that I have extremely dry and sensitised skin with broken capillaries that I inherited from my ouma, thus facial scrubs are a big no-no to me as it usually irritates the skin and worsens the effect. 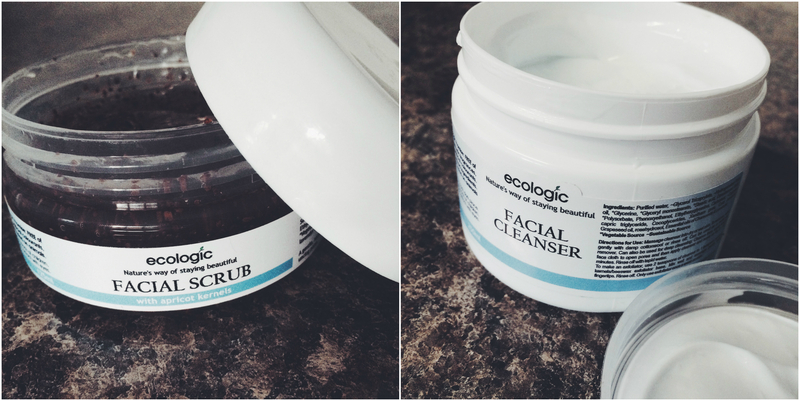 Ecologic’s facial scrub is honestly the very first exfoliator (other than Dermalogica’s daily microfoliant) that is not harsh on my face. The apricot kernels in the product are not rough like sugar, salt and coffee particles usually found in scrubs. It actually feels like tiny rubber bullets massaging my skin, rather that scratching the surface. It really is gentle enough for every-day use to not only remove dead skin cells, but also brighten your appearance and open your pores – without causing any harm. Facial cleanser: This delicate cleanser is soothingly creamy and velvety to touch. The rich aroma of rose and camomile fills the room upon layering the product onto your skin. Ecologic’s facial cleanser can be used on wet and dry skin and acts as a makeup remover, face wash, shaving cream and even deep cleanser. Simply let the lotion soak into your skin for 5 to 10 minutes and gently rinse with lukewarm water. Not only does it effectively clean, but I also felt that it calms my skin, leaving it soft and refreshed. To top it all off, it is packaged in a massive 250ml tub that will probably last you six months or longer. Toning eye & skin gel: Of all the dry areas in my face, my eyes are definitely the most effected. At the age of 26, I already suffer from hideous dark circles and visible fine lines that accentuate my tired eyes. In the depths of winter the thinned saggy skin actually becomes flakey and sore if not treated accordingly. Ecologic’s toning eye & skin gel contains MSM (Methylsulfonylmethane), which is a natural chemical found in plants, animals, and humans. MSM has a variety of fantastic uses, including combatting eye inflammation, mucous membrane inflammation, hay fever, snoring, allergies, scar tissue, stretch marks, wrinkles and eye swelling – just to name a few! The gel-like consistency seems sticky at first but absorbs into your skin very quickly, creating a cooking effect. Smeared to the under eye area and eye lid itself, it leaves my skin feeling firmer after each application. I haven’t seen a flake all of August! It also acts as a fantastic toner that can be used all over the face as well as the décolletage. Skin perfect: The final step to my daily Ecologic skin regime is applying their hero product – the skin perfect moisturizer with COQ10. This is the very first product formulated by Ecologic and, as it is a balancing moisturizer, it is suitable for all skin types. How does that work? Well, the specifically combined work together to balance the sebaceous glands of the skin – the glands producing sebum to lubricate your skin and hair. So dry areas will produce more lubricant and oily areas will produce less.The COQ10 stands for CoEnzyme Q10, which is used to improve elasticity of the skin and soften the appearance of wrinkles. For me, the best element of skin perfect is that is moisturizes my very dry skin and also… it strengthens fine capillaries!!! The consistency is rich, yet fresh and smells botanical without being too floral. I am absolutely in love with skin perfect and have literally used half of the 50ml tub in one month (note that I apply it excessively to my exceptionally dry skin). I honestly only have great feedback from following the above-mentioned regime. Layering the products one after the other, twice daily (with the exception of the facial scrub which I use once weekly) has really improved the overall condition of my skin – and it has only been a month. It is incredible to notice how nature impacts our skin for the better. I encourage you to leave the chemicals and trust in the formula of mother earth, and the geniuses who bottle it!